Stoneleigh Kitchens has been established for over 30 years and specialise in bespoke handcrafted kitchens, bedrooms and bathrooms. 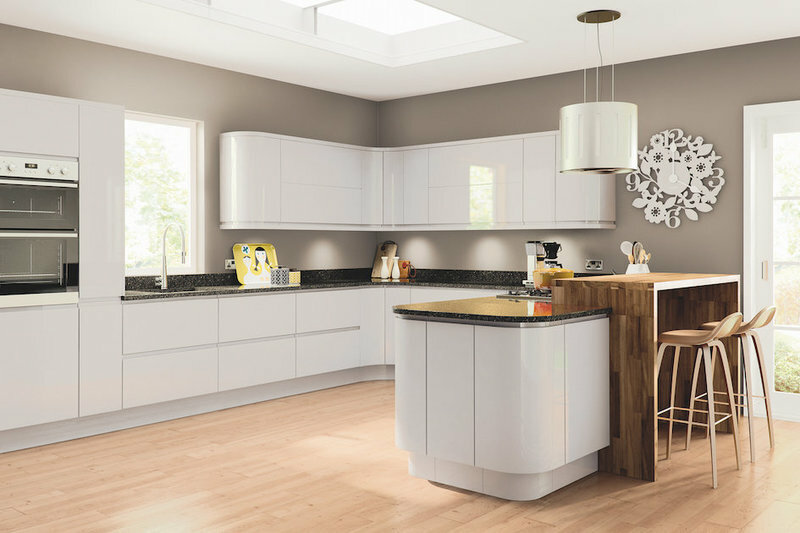 Our aim is to create practical, beautiful and long lasting kitchens. We provide a fitted kitchen service across Brighton, Hove and Sussex. We use quality products from the best suppliers and handfit all our kitchens based on your needs. We are specialists in the supply and fit of solid surface worktops and offer a full structural build service undertaking all alterations. Bob and Adam have done a super job of designing and fitting our new kitchen and dining area. They were full of good ideas and advice and their extensive experience and skills were evident in the quality of their work. They have many contacts in the building trades and were able to take on any request that we made. I would not hesitate to recommend them. They always want their customers to be happy and satisfied with their work. Stoneleigh Kitchens did a fantastic job installing our new kitchen. Bob and his team were professional, polite. They took great pride in their work and did a perfect job. We will definitely use them again. Excellent work by professional, friendly craftsmen with great attention to detail and good value for the money spent. Bob and Adam not only built a large extension for us but they have almost completely refurbished our home internally and externally. They are a very pleasant father and son team who have a very large range of skills between them and have numerous skilled contacts who they have worked with for many years to complete all the requirements of a substantial building project. This covers design, planning, structural engineering, construction, installation of kitchen and bathrooms and wardrobes plus gas, electric, roofing, windows, plastering, tiling and decorating as required. Bob and Adam are very friendly and approachable and pride themselves in creating what the customer requires. They are tidy workers and always come armed with dust sheets and other things to clear up after them. Work on our project started in September last year and has just finished. The initial work was completed to budget and within an acceptable timeframe. But the scale of the work we required done expanded as the building work progressed and re-fitting bathrooms and bedrooms was incorporated during the construction work. Now it is finished and we are very pleased with the end result and the quality of the work done. Any small faults have been remedied quickly by Bob and Adam and they have offered to return again if anything else arises. In conclusion we are very happy with our new home. Our family and friends love it and they call it our holiday home as it feels very much like that when they visit us! Adam at Stoneleigh kitchens came to fit an over for us at very short notice, just before Christmas. He was polite and we are very pleased with the service they provide. Very professional and we would certainly go to them for any work needed in the future. Reliable and excellent value for money! The 'Stoneleigh' kitchen fitters stepped in when a local retail company let me down. I am extremely pleased now that they did as I got a 'first class' team to fit my kitchen. They discussed among other things all the little but important details such as 'where and how I want the door handles fitted and which side I want cupboard doors to open etc. and made excellent recommendations based on their experience which was very helpful in making my decisions. Reliable ,punctual,good communication,good attention to detail 'No Hidden Costs' Definable recommend them. We got Stoneleigh Kitchens on board to build our room in the roof (2 bedrooms, 1 bathroom) and our extension at the rear or our property which was to be our Kitchen. They took on the project and saw it through from start to finish. Stoneleigh kitchen designed, supplied and installed our kitchen in our brand new extension. The guys were very friendly, polite and left the work space clean and tidy every night and we are over the moon with the end result. We have recommended Stoneleigh Kitchens to friends who have also been so pleased with their new kitchens. Cannot recommend highly enough. We are now unable to use a bath so the bathroom was completely gutted and a shower unit, toilet, sink and ceramic floor tiles were fitted. A very good job was done and we are well pleased.